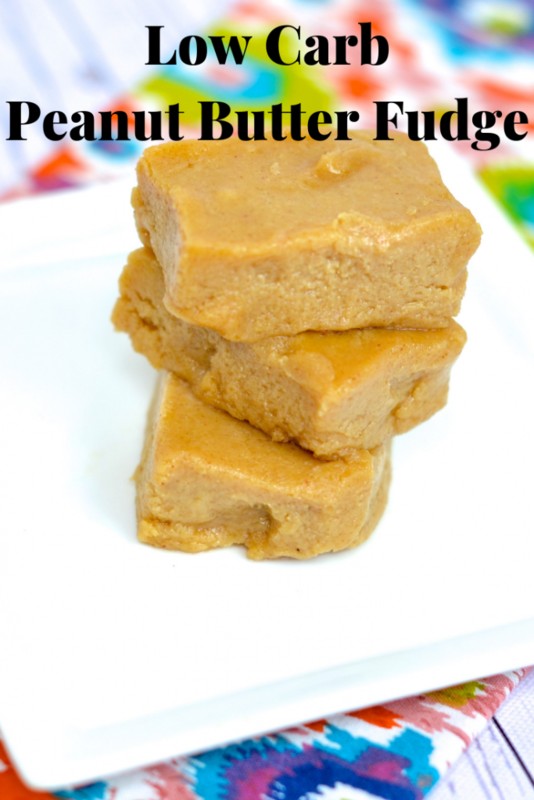 Only 5 simple ingredients are needed for this mouthwatering low carb peanut butter fudge. The entire family will love this easy and tasty low carb dessert. Question: What time is it? It’s fudge time! Fudge. The dessert that makes us sing. Years ago (and I mean years ago) I can remember going into New Orleans Riverwalk and walking past incredibly smell of the The Fudgery. The entertainment at The Fudgery began. And yes, dreams come true folks, as small samples were past throughout the crowd. No worries, I was not skipped – I would have fought anyone in that crowd for a piece of fudge and let’s just say I was not disappointed. The fudge was mouthwatering, creamy, and delicious. I knew right there, I was love. I took my $10 spending money and returned home with fudge. I dragged Mr Skinny Louisiana over to The Fudgery for him to experience the fudge. He tried (and yes, I did as well) and he fell in love. We both floated over to Cafe du Monde for a cup of coffee as we discussed how amazing the fudge tasted. Guess what time it is? It’s time to take fudge into the Skinny Louisiana test kitchen. 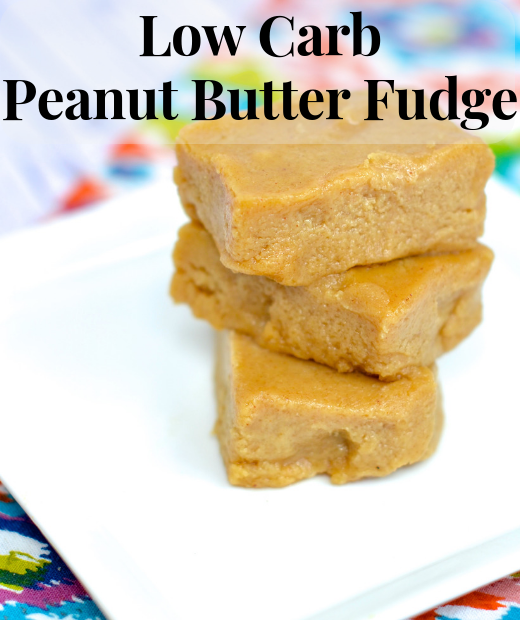 While we all have our own tastebuds when it comes to fudge, I was looking to develop a low carb fudge that was soft and melted as soon as the first bite was taken. 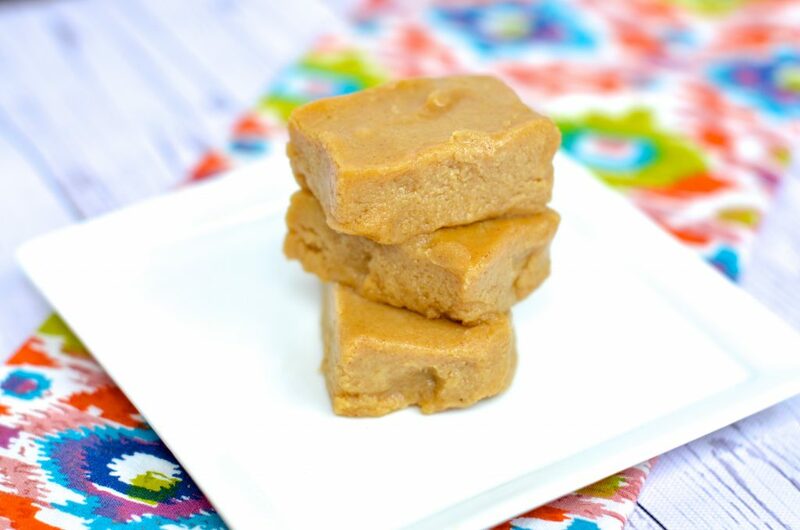 Personally, I am not a fan of a ‘hard’ or ‘crunch’ style fudge, but quickly issues arose with out ingredients – lots of sugar and lots of butter. This is not the first time I have taken peanut butter into the Skinny Louisiana test kitchen. 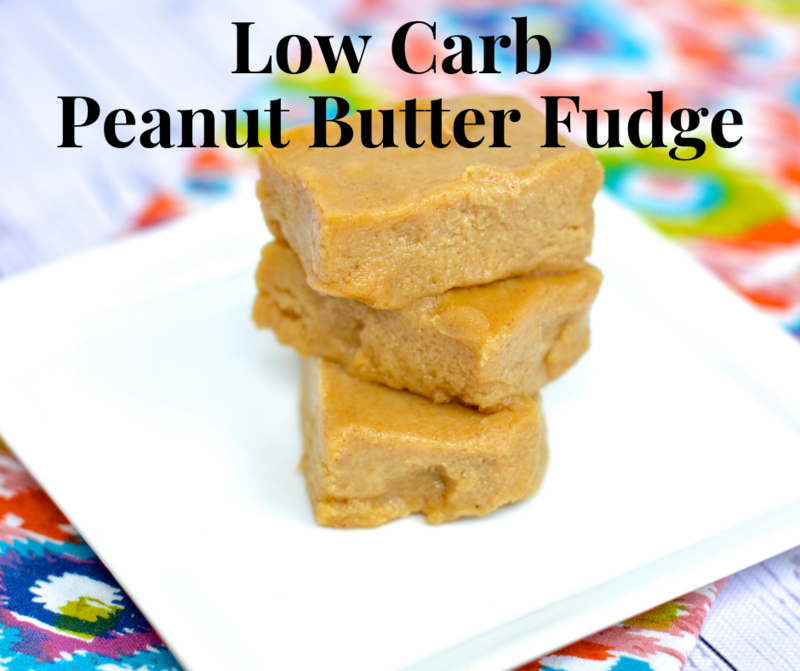 You have to try our Low Carb Peanut Butter Cheesecake Bars! With a few switches, I was able to keep this dish at only 5 ingredients and super delicious. I hope you and your family love this dish as I do! Not all peanut butters are equal! While many of us love peanut butter as a snack, we have to be very careful in the type we select. Many of our peanut butters have added sugars (think of those fun flavors we see at the store). Take a look at the label and compare looking for a product with no added sugar. In no circumstance select the low fat peanut butter, these usually have added sugars. For additional keto friendly dishes, use almond butter, but again, still double check those labels. One of my favorite low carb peanut butter brands is Crazy Richard’s Peanut Butter. Swerve granular is an amazing keto sugar replacer in baked goods, and is a non GMO sugar replacer. Personally, I love the fact Swerve is a 1:1 sugar replacer. For example, if your favorite cheesecake (or dessert recipe) calls for 1 cup of sugar, you would use 1 cup of Swerve granular sugar replacer. While my keto friends jump to using Heavy Whipping Cream, I am a fan of Fairlife Milk. This ultra-filtrated, lactose free milk (many of my keto friends avoid the milk sugar or lactose) has half the carbs and sugar of milk PLUS additional protein. I receive lots of questions on almond milk, and I have not tested the recipe with almond milk since I am such a fan of Fairlife. Under no circumstances do we use margarine in the Skinny Louisiana kitchen. I am a full believe in the simplicity of butter, but I use just enough for flavor (never too much). LINE an 8 x 8 square pan with non-stick aluminum foil or parchment paper. Grease foil with 1 teaspoon of butter. Put the STOVE to use. In a small SAUCEPAN over medium-low heat combine butter, peanut butter and Swerve. Bring to a boil for 1 minute. Remove from heat. Stir in Fairlife and vanilla extract until combined. This fudge is very creamy. It is important to refrigerate for 1 to 2 hours or store in the freezer for 30 minutes before cutting. This fudge is VERY tasty and filling. I cut into very tiny, bite size pieces for serving. Stir in Fairlife milk and vanilla extract until combined. Pour mixture into pan. Refrigerate for 30 minute to 2 hours before cutting. Calories: 110, Total fat: 9g, Saturated fat: 2.5g, Cholesterol <5mg, Total carb: 3g, Fiber: <1g, Sugar: 2g, Protein: 4g.